A deep look at the differences between two popular sales data platforms. LeadFuze and LinkedIn Sales Navigator are similar, yet vastly different tools. Let’s break them down. It’s no doubt that LinkedIn is useful in the sales process. LinkedIn Sales Navigator is LinkedIn’s tool for individuals and B2B sales teams reaching out to business professionals. LeadFuze is a lead generation tool for B2B’s looking for accurate (even unlimited) contact data. 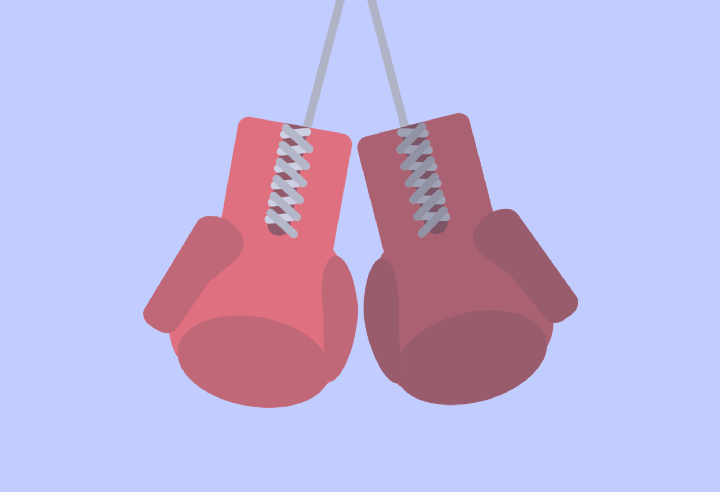 This post pits LinkedIn Sales Navigator against LeadFuze to help you see the difference. Disclaimer: Obviously, I’m a member of the LeadFuze team. While this means I believe our app is fantastic — I’m going to attempt to be as objective as possible. There are 3 plans; Professional, Team and Enterprise. There are two plans with LeadFuze — Solo and Team. Here are the features available with LeadFuze. The biggest (and virtually the only) similarity between the two tools is certain data. There are similar categories and similar extras (e.g. employee size, company news, etc.). Now, there are several differences. Let’s go over those. Note: This is where you may think my bias starts showing. And that’s due to a very clear reason. LeadFuze isn’t running a social media platform. LinkedIn (and Microsoft) have many more irons in the fire. LeadFuze has one — To make data easily and abundantly available. So, here are the differences I’ve noticed. If you look at the reviews on G2 Crowd, one of the common issues are the lack of good email addresses (if any at all) for business contacts. LeadFuze has always loved email and provided double-verified emails as a data set. LinkedIn is a powerful tool, but emails and phone numbers still make the B2B world go around. InMail messages help Sales Navigator users send LinkedIn messages to people not connected to you. It’s not something you can do with LeadFuze. If you think it’s beneficial to send 20-50 messages to people out of your direct network, that’s a Sales Navigator only tool. I’m not being facetious. If you’re a freelancer and have clients in your LI network, it could be very lucrative to send a message to someone in your 2nd or 3rd tier. One new client per month could be all you need and those few message could get you more than you need. Sales Navigator has massive data. With over 500 million users, there’s a lot of gold there. But over the years, working through their search is becoming a bit dated. Here’s a quick gif of the LeadFuze search. There are multiple similarities in the types of data you can search through. The difference comes down to how you filter, compile and ultimately use that data. This is a difference that sets LeadFuze apart from LinkedIn and just about all other lead generation platforms. With Sales Navigator, you get the names, places and some other data. But it’s up to you to use all of that data…one at a time. LeadFuze allows users to save the individual lists and even slow drip leads into several other outreach and sales tools (more on this in the next section). LinkedIn looks a bit like: Search, find leads, use data, search again, use more data. 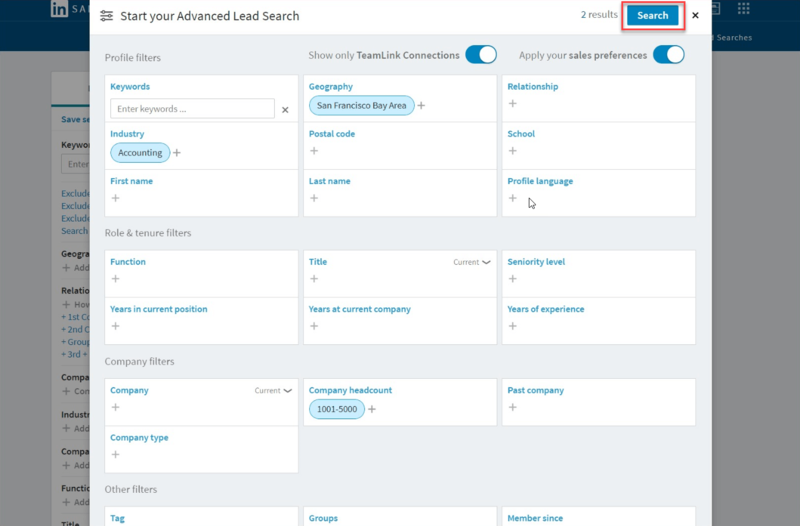 LeadFuze looks more like: Search, find a big list of leads, send a certain amount of leads to your outreach tools (CRM, email outreach tool, etc.) each and every day. Perhaps the biggest difference is this automation. Instead of roller coaster prospecting — you can have consistent lead generation. Navigator is a hands on approach. Automatically send a certain number of leads your outreach campaign each and every day. With both the Navigator and LeadFuze “Team” plans, users get access to integrations. However, Sales Navigator only allows certain CRM integrations and LeadFuze has several different tools. CRMs: Some of the CRMs we integrate with include Salesforce, Pipedrive and HubSpot. Email Outreach Tools: We fully integrate with Mailshake, Woodpecker and lemlist to schedule an email sequence for leads found in LeadFuze. Zapier: Using Zapier opens up a world of integrations. It comes down to a couple of key things. There are several cases for using LinkedIn Sales Navigator, but it doesn’t seem like the best option for a multi-touch, high-volume or automated sales approach. That said, we use BOTH ourselves. They each have their place. Great article. Linked In is an awesome tool, but you can’t really use it on its own. You need a suite of tools; Dux Soup, Voila Norbert, Google/Bing and tool for drip-emailing. Hoping to try your service in 2019. Any possibility of pulling Canadian data from Linked In? Awesome! I’ll keep an eye on the newsletters.